The spring-fed Selbrigg Pond was originally dug in 1810 as a water reserve for Hempstead Mill. In the 1960s, however, the Mill stopped operating and the pond become an important home to a wide range of aquatic wildlife not found in the main River Glaven. As a result, Selbrigg is now designated as a ‘County Wildlife Site’. The brick retaining wall – built to keep the water at a level of 1m higher than the highway – was beginning to crumble as trees were growing too close to the edge. There was a risk of failure and a breach in the wall, which could have led to water running across the road and descending downstream, carrying debris with it.  Norfolk Rivers Trust (NRT) re-built and strengthened the pond wall. Galvanised trench sheet pilling was placed 250mm in front of the existing brick wall and finished with a hardwood capping and waling. The gap between the wall and sheet was filled with concrete for extra strengthening. A new purpose made stop log weir was incorporated into the sheet metal piling, and repairs were made to the existing brick culvert. A new sluice system was installed into the new wall, with piping extending under the road. At the same time as these works were being carried out, a large amount of accumulated silt was removed, and the encroaching reed growth was pinned back. A contractor, who had designed and modified equipment to create a giant claw that was fixed to the head of a digger, was used to ‘comb’ out the reed before suction dredging was used to remove the silt.  NRT is pleased to report that the pond is now one of the largest sources of clean water to the River Glaven.